Noel Gallagher will be on ‘Alan Carr: Chatty Man’ on Channel 4 on Friday May 1st. 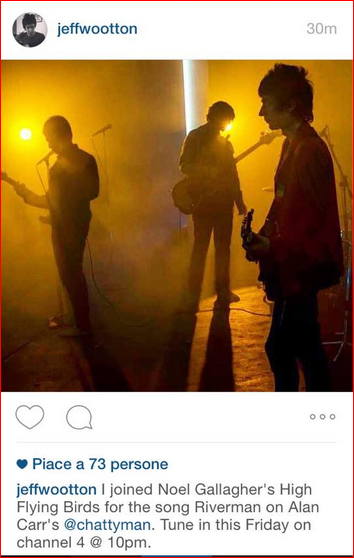 Jeff Wootton posted a picture on Instagram saying that he joined Noel Gallagher’s High Flying Birds during the program for the song ‘Riverman’. 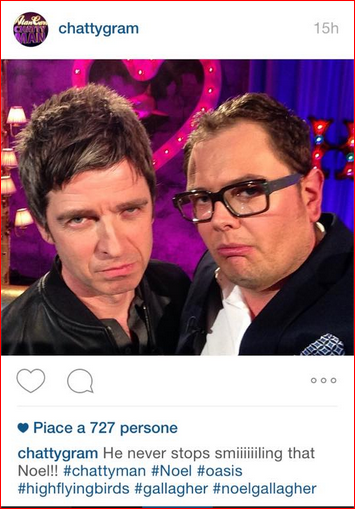 Moreover, Alan Carr posted a picture of Noel and him.